Back in May I heard from Garnet Hill about doing a product review focusing on summer inspiration. I would say this has been a summer of travel (and family). I told Garnet Hill about all of my upcoming trips (Las Vegas, Charleston, Idaho, and the trip I am heading on this week). I was excited to see what product I would get to review. I have put the pure cashmere wrap to good use with all of my trips! Mine is navy and I LOVE it! Usually when I travel I bring a hoodie. But I don't put it on over my head since (1) it's tricky getting it back off without elbowing the person next to you and (2) the temperature can change quickly on the plane. HA! So it doesn't work very well to keep me warm. Well no more traveling in hoodies for me! I wore the wrap around my upper half/over my shoulders on my way to Sun Valley and then just over my lap like a blanket on my way home. 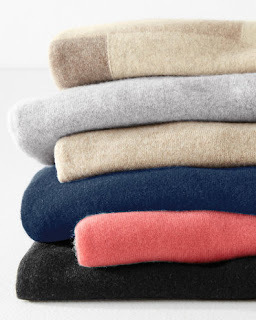 The cashmere is not itchy (I am picky about my cashmere sweaters). Garnet Hill uses only the best cashmere and Oeko-Tex-certified eco-friendly dyes with fewer chemicals. The best photo I got from my phone on my flight. This was when I was using it as a lap blanket. Unfortunately I am having issues uploading photos from my real camera (looks like the cord may have been misplaced in my move) but I've ordered a new cord so hopefully I can upload the real photos soon! I love the color that is currently available. 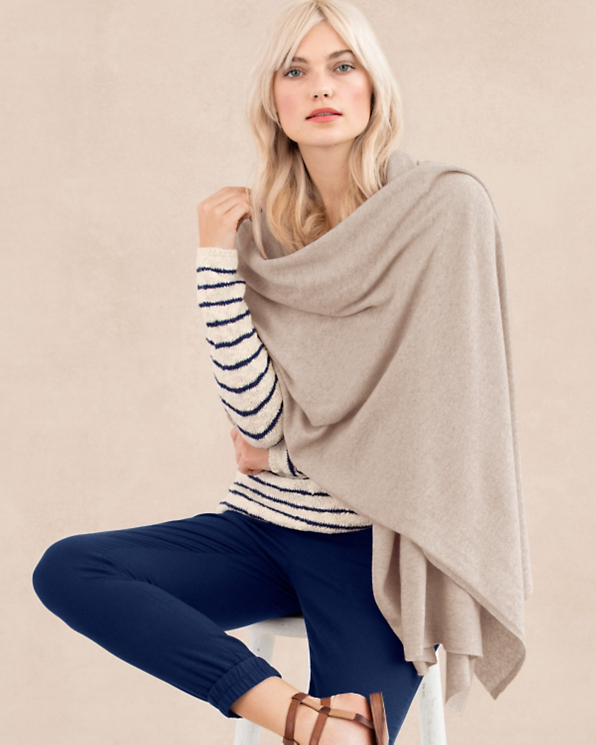 It's perfect for transitioning into fall (don't worry-summer is not over yet!!!). Use it at the beach on those cool nights, take it to outdoor movies at the park, wear it to a wedding whatever you have planned for summer! That's really cute and I love the versatility!